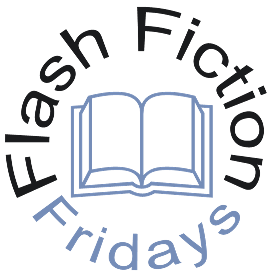 Yes, Flash Fiction Fridays are back! After taking a bit of a hiatus for the holidays, I’m back with my weekly dose of writing nirvana. Enjoy! Pain in my left shoulder tells me I’m alive. It’s funny how pain – something we dread when we’re alive – can actually prove to us that we are alive. The pain is minor compared to the new pain swelling up in my right leg. A great weight is bearing down on it, but I haven’t the strength to open my eyes and see for myself what that great weight is. I just know that I’m in trouble. The sound of rain pouring down around me brings to memory the storm. I was on a plane…going down somewhere over the jungles of Peru. Why…the plane was hit by a meteorite. Took out the left wing. Much like my left shoulder has been taken out, only the plane’s wing wasn’t just wounded, it was disintegrated in the blazing fire the meteorite was hurling toward Earth in. That’s why we fell. We. I wonder if the others are still alive. I force my eyes to open. Splintered wood and charred metal surround me in tangled heaps. I can only guess that our plane crashed into a wooden structure of some kind. Maybe a house. Maybe a temple. I don’t know. All I know is that I’m on a cliff. The sky is overcast and the rain is coming down as hard as it was when the meteorite fell, only I have a large section of the plane’s belly dangling above me to shield me from its onslaught. I try to move and look down to find my leg pinned by a massive beam of wood. Oak, I think. I don’t think my leg is broken. I pull on it to see if it will budge, but it refuses. It is a stubborn piece of wood. “Help!” I shout. My voice echoes through the canyons, reverberating my voice, patronizing my efforts to seek aid. Nobody calls back. Why would they? Everyone is dead. I just know it. I can feel it in my bones, sense it in my spirit. I am the only one left. Lightning flashes across the sky. Thunder peels a mere second later. The storm knows I am the only one left, and it seeks to finish me off. The rain comes down harder, shifting – little by little – the curvature of the plane belly above me. The belly sits on a haphazard formation of oak beams, slipping with each powerful droplet of rainwater that beats against it. If I must die, I guess I’ll die knowing I was the temporary survivor of Flight 287. I’ll also die knowing that the rumors that came out of the United States regarding the falling stars were true. I wonder where that infernal rock that hit our plane actually went. Lightning flashes again, and the rain comes down harder, shifting the metal curvature above me even more. The right side slips off the oak beam holding it up, and I breathe in the fresh scent of rain for the last time.